Diana Saffo Bono’s strength as an artist is in her passion for her art.. An impressionism, sometimes expressionism painter, and excellent colorist, she is best known for her dramatic brush work. 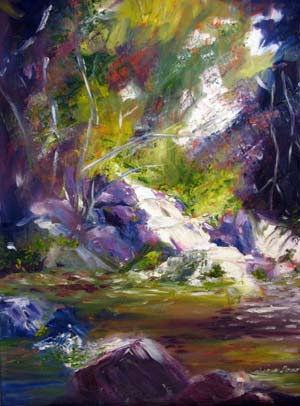 A self taught award winning artist, she works in oils, acrylics, watercolors, pastel, charcoal, and collage. She enjoys the unique characteristics and challenges these mediums present and frequently lets the subject matter determine the medium used. Her passion for her art creates an energy that can be seen and often felt in her work. She is delighted when the viewer smiles or laughs at something discovered or is transported to another place or time. Diana’s artwork is a celebration of life. 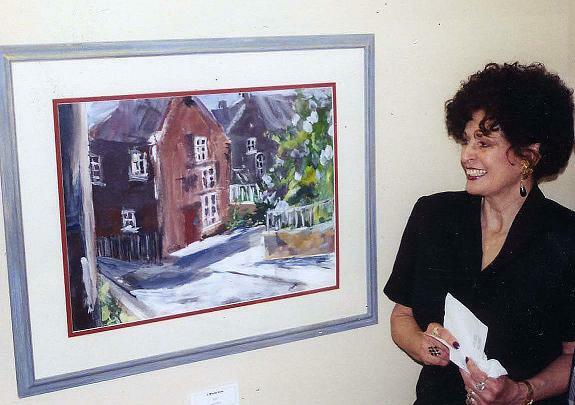 Diana exhibited and served on the Board of Directors as Vice Chairperson for the Augusta Haus Art Gallery in Augusta, Missouri in 2005. She served as Vice President of the Lake St. Louis Artists Association in 2006. 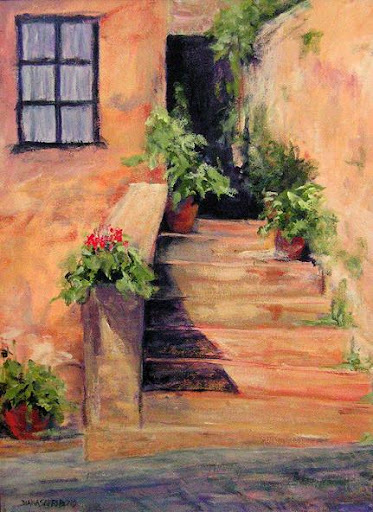 She is a member of the St. Louis Artists Guild, St. Louis Watercolor Society, Oak Leaf Artist Guild, and St. Peters Community & Arts Center as well as the Lake St. Louis Artist Association. Diana was involved in developing Art For Your Spaces, a web site which provides original artwork for the residential and commercial markets. She is a resident artist at Framations Gallery on Main St. in St. Charles, MO. Her artwork is on display in many businesses in the area and is in private collections throughout the United States. by Artist Diana Saffo Bono. 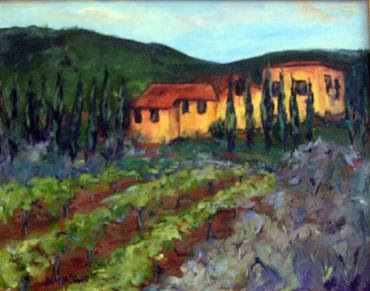 "Near the Town of Gaoile"
by Artist Diana Saffo Bono. 11x14. Acrylic, 18" x 24". $800.00.